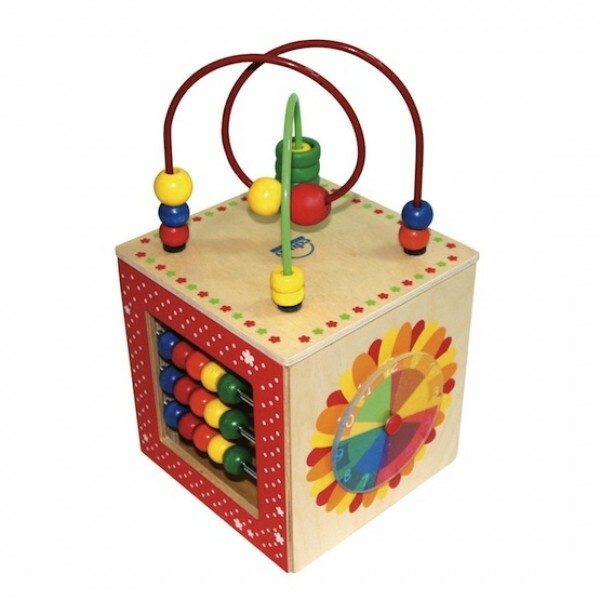 The Discovery Box by Educo provides excellent educational value by engaging children in activities that stimulate the cognitive, visual and tactile senses. Included is a bead maze on top, and abacus that encourages counting on the side, a play clock for developing color recognition skills, a silly fish with eyes that can be moved any direction, and a fun doggie mirror. The Educo brand has meant quality and innovation in toys for over 30 years. This box is made with quality attention to detail out of Baltic Birch plywood.